Whirlpool, the flagship brand of the company, is dedicated to making a difference in people’s lives every day. 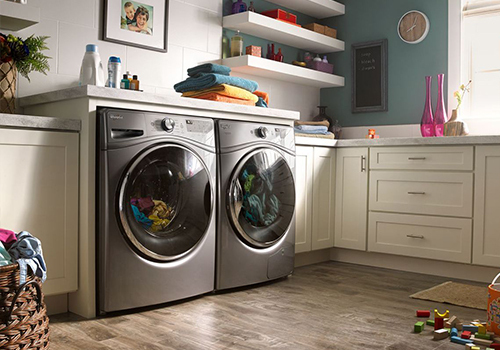 Whether it’s making laundry a little less of a chore, doing our part to help you save water and energy, or donating ranges and refrigerators to Habitat for Humanity® partner families, Whirlpool brand is focused on what’s important in life. In 2009, Whirlpool brand launched several major products in North America. In the laundry room, the new Cabrio washer is the answer to our consumers’ quest for high efficiency in a top-load configuration. This latest innovation joins a plethora of new color Whirlpool Duet washers and dryers to round out a complete family of eco-efficient choices for laundry. The focus on water and energy savings doesn’t stop in the laundry room. 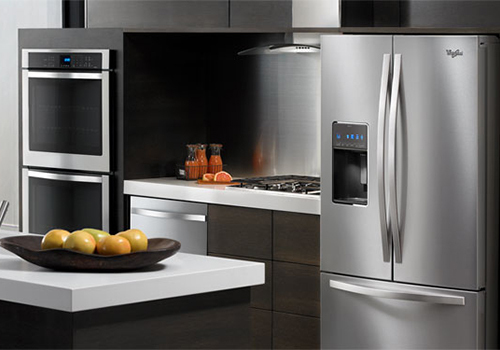 In the kitchen, Whirlpool brand will introduce a new ENERGY STAR® qualified French door bottom mount refrigerator that features In-Door-Ice ice dispensing system. This refrigerator is the ideal complement to the Resource Saver dishwasher that cleans a full load of dishes using one-third less water and energy. And the SteamClean range that lets you spot clean your oven interior in just 20 minutes without using harsh chemicals or temperatures.